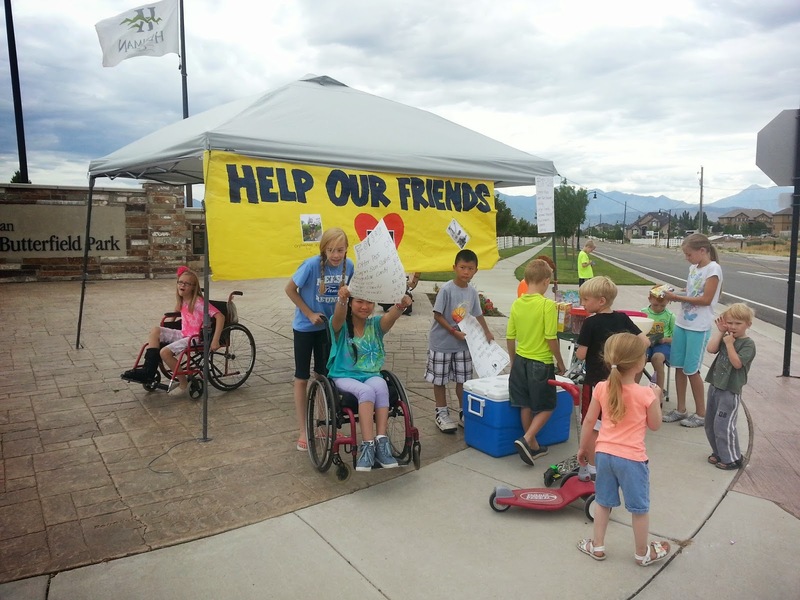 Another family reunion activity was lemonade and candy stand we did as a fundraiser. 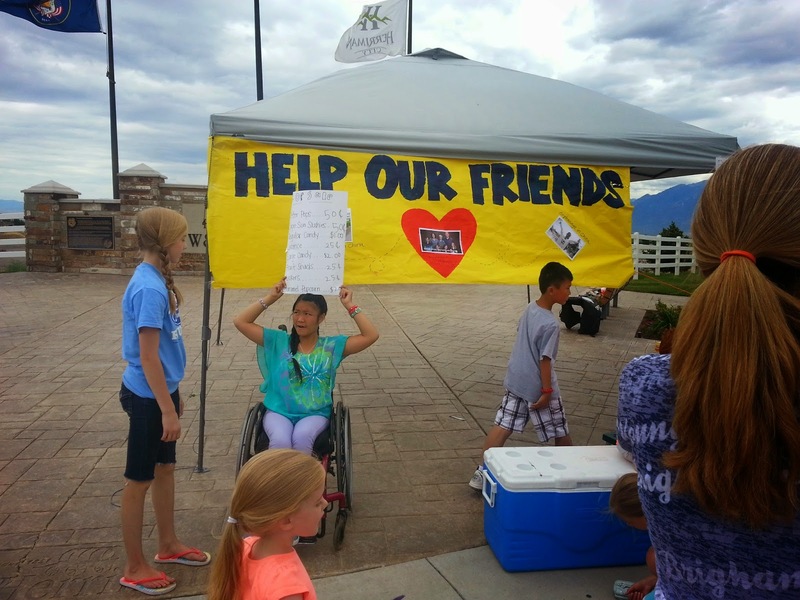 The money went to a sweet family that is in the process of adopting two little girls from China. The kids really got into the spirit of the fundraiser. They was flag down passing cars. "Help some girls get a family!" they would yell. They waved signs around. They served people that walked up or even as "drive-through" customers would stop and roll down their windows. People were so generous. When they saw it was a fundraiser, they would leave large tips. 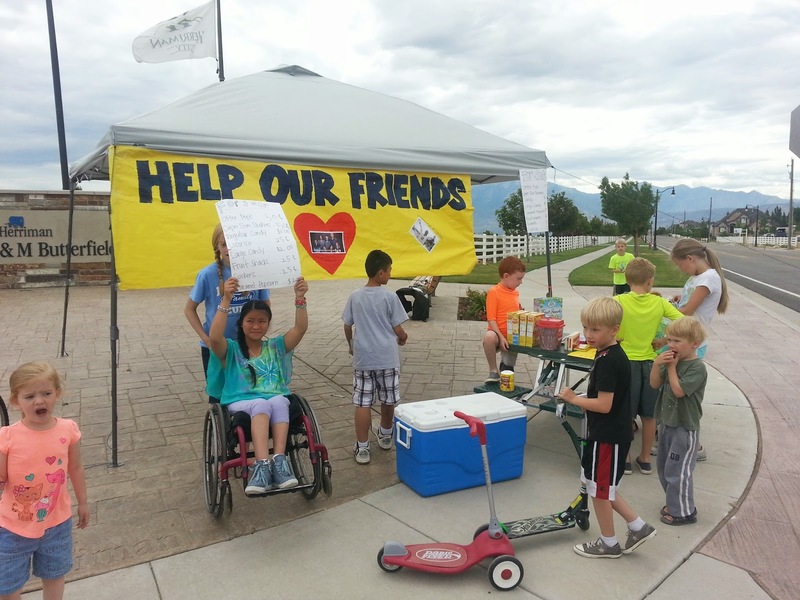 In two hours, these wonderful kids raised over $300 to help the family. It was a fun and rewarding morning! Love it! Looks like you guys are having a great summer! What a great idea and experience for the kiddos!